An increasing array of groups are joining a coalition against mega free trade agreements like NAFTA, TPP and TTIP. Trade unions, leftist parties as well as some Republicans, like senator Jeff Sessions and Presidential candidate Donald Trump. As we have seen in the EU, these mega deals are often cover for globalist schemes to destroy national sovereignty. 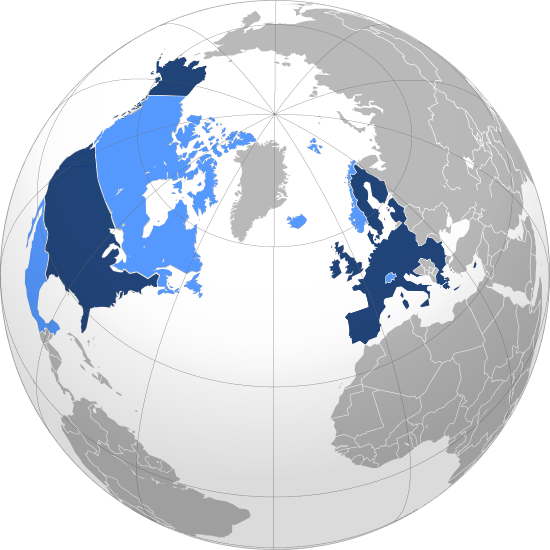 TTIP/TAFTA: US and EU member countries in marine blue; future member states in bright blue (NAFTA and EFTA). Russia is working on a union of its own, Eurasian Union.